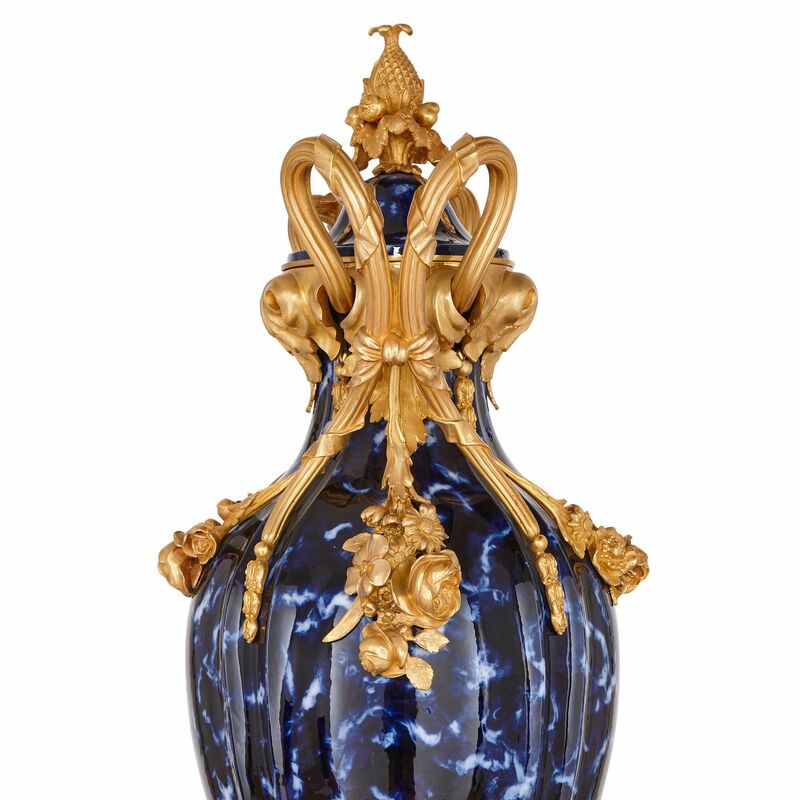 These stunning, extremely large ceramic vases have a timeless feel, combining cool mottled blue colouring with sumptuous Rococo style ormolu mounts. These impressive Louis XV, or Rococo style, vases are remarkable at first for their large size, with each vase measuring 110cm in height. 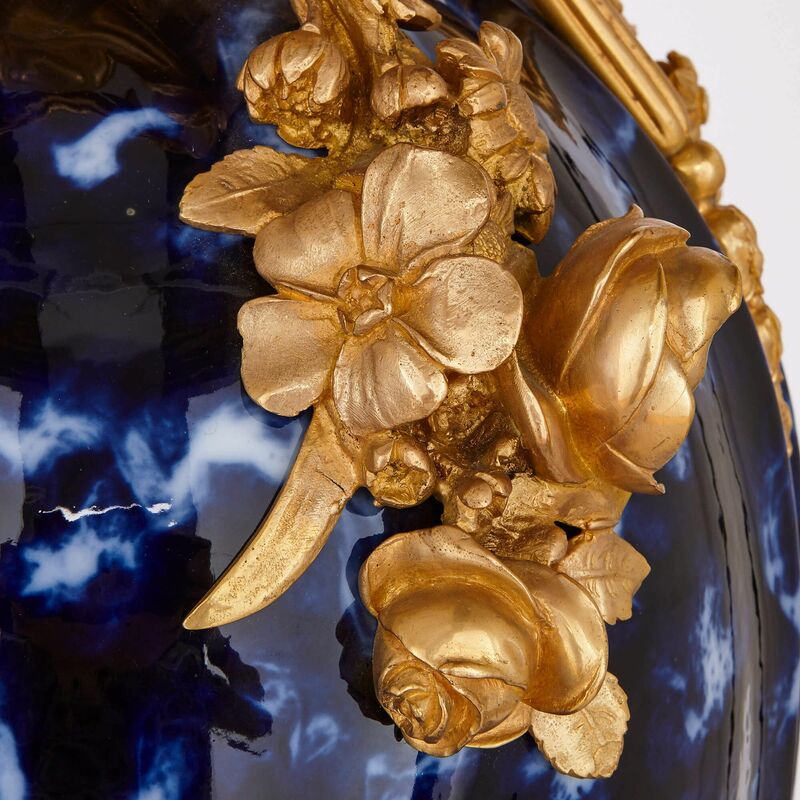 Their ceramic bodies are ovoid in shape and finished in a rich, mottled blue glaze which feels strikingly modern in its execution. 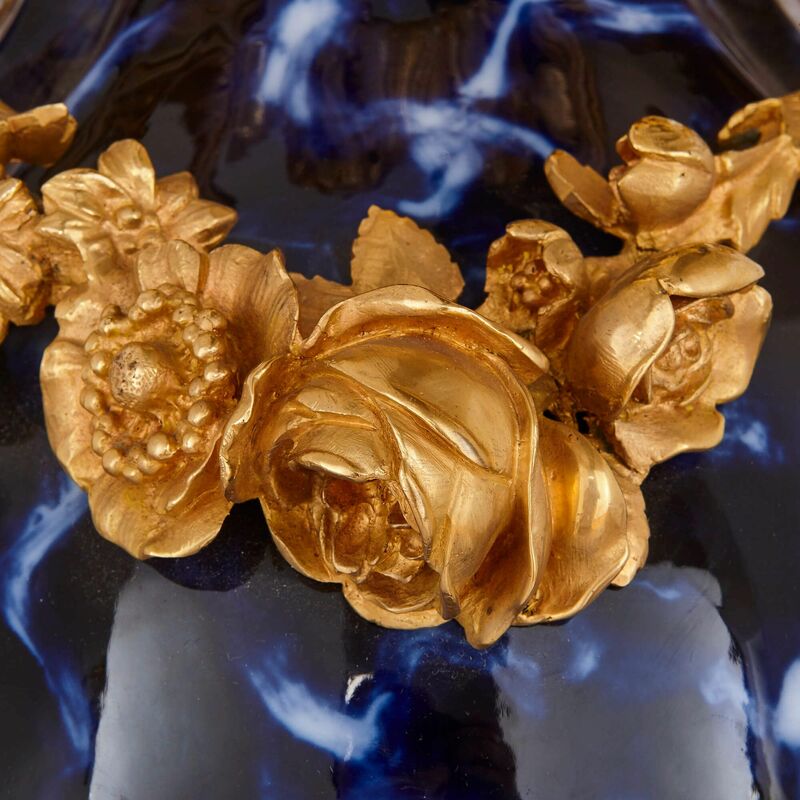 Each vase is further decorated all over with beautifully-detailed ormolu mounts, including twin scrolling handles which are draped with floral garlands. 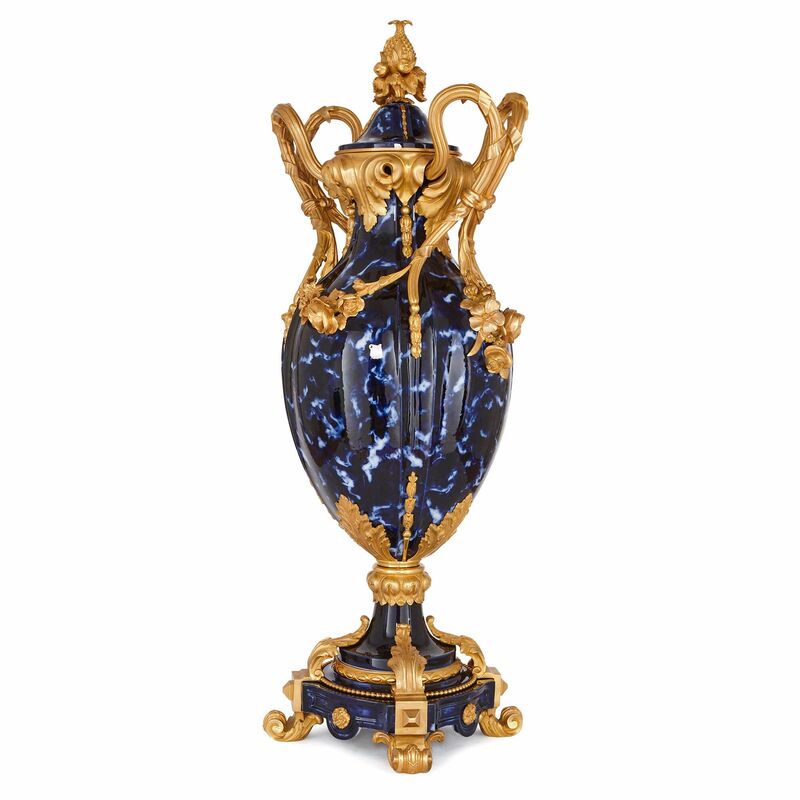 The handles are joined around the top of the vases' necks by a thick ormolu rim with acanthus leaf and scrolling details. 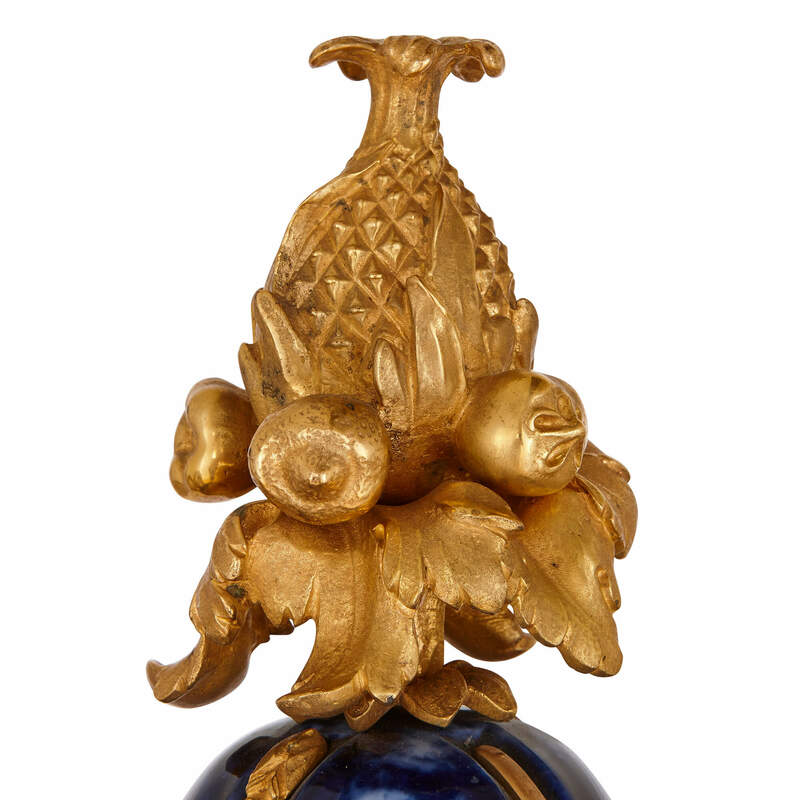 Each vase has a cover which is surmounted by a pine-cone finial. 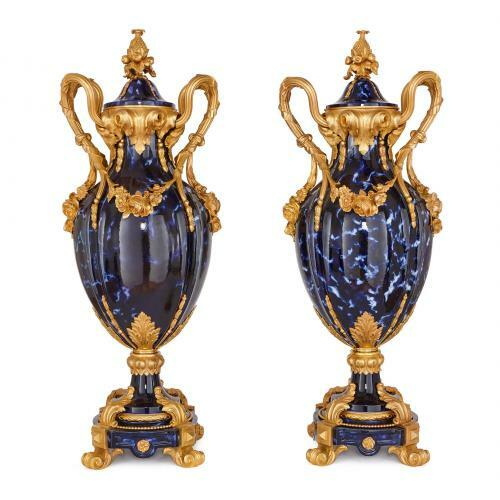 These joyous Rococo-style details lend an air of exuberance to these stylish vases.